In just a couple years, Amazon Prime Day has become a sort of Christmas in July as people flock to the online giant to take advantage of one day of free shipping. And as a result, many people join Amazon Prime as part of the event, giving them free shipping all year long — particularly useful around the holidays. They also get Amazon Prime Video and Music to boot. How can other retailers and suppliers fight with the sorts of consumer gravity Amazon creates for itself? 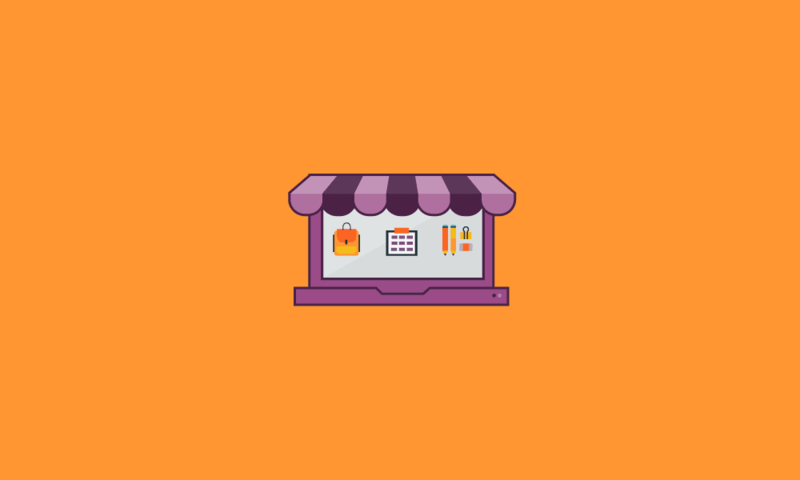 Well, as we’ve said before, one way is to not fight it and simply take advantage of the sales channel by participating in something like Amazon Marketplace or Amazon Retail. Other players who aren’t working with Amazon or using it as a channel will have to learn to co-exist somehow with this behemoth, because it isn’t going away. One way for retailers to figure out their approach to surviving in the Amazon Era is to look at Amazon’s effect on the Back To School shopping calendar and how other retailers are responding. In just a few years, it seems Amazon Prime Day has shifted the beginning of the back to school season earlier by basically a full month. Many people are starting their back to school shopping online in early- to mid-July, and finishing up their shopping earlier in the season, as a direct result of Prime Day. Retailers who didn’t catch on to this trend found themselves late to the party, overloaded with inventory at a time when shoppers mostly already had everything they needed. This development means more retailers and suppliers are expected to move their back to school calendar planning earlier by at least a month to compete for consumer dollars. Many of these businesses are taking advantage of Prime Day as well by offering promotions, especially if they sell products on Amazon. Back to school product inventory hopefully has already been sourced by now and overseas deliveries are enroute by March and April so the items will be in stock by July, both to account for the earlier shopping season and to participate in Prime Day. Prime Day may also be a time for non-Amazon ecommerce retailers to see some benefits, and move some of their own inventory. Based on last year’s results, we expect there to be another overall lift in all ecommerce on Prime Day, even for non-Amazon companies. That’s because people were in a mood to shop for products online. If someone couldn’t find the price, size, or color they wanted on Amazon, they often Googled the product and found it in other online stores. So even if you’re not a part of Amazon, you should come up with your own July promotions to pick up any of the overflow. Back to schools sales can often be an indicator of consumer preferences, which can help you with demand planning and marketing for the future. With the extra traffic to your website, you can test out how your existing products are performing, whether your promotions are competitive and even the popularity of new products. The information you gather could help you plan for how to promote your products and what items to stock in the future. Finally, the data you collect during back to school could help you plan for what the upcoming holiday season is going to look like. You can use your back to school data to give you a good idea of what you should expect and prepare for in the busy, competitive holiday season. The date for Prime Day 2017 has not been announced yet, and it probably won’t be until June, so waiting until then to start planning isn’t an option. We know Prime Day is probably going to be a date in July as it was last year, though. Source your products, get them into your inventory system, and onto your shelves or into your fulfillment distribution points by June, so you’re ready for the big Amazon announcement. If you’ve had a supplier or vendor fall through with their ability to deliver, there may still be some time to source products and have them on time, provided that they don’t need to arrive from overseas. That ship (and all of the cargo on it) has probably literally already sailed. If you haven’t already, make an action plan to take advantage of Amazon Prime Day, whether or not you’re using Amazon as a channel for your products. It’s a big day for online retail that spills over onto e-commerce sites throughout the web. Otherwise, you may miss an important sales opportunity, and you should seriously consider preparing yourself for next year’s event. Amazon is a big fish in the retail pond, and for many retailers and suppliers it’s a good idea to try to ride the wave in its wake. For more information on measuring your Back To School and Prime Day sales performance, as well as sourcing new products, please visit the SPS website for more information. We can give you demonstration of our cloud-based SaaS software to help your retail analytics, product sourcing, EDI, and inventory management. Contact an SPS representative today! As a customer success executive at SPS, Brandon Pierre works alongside many retailers and suppliers to develop strategies to address their merchandising and supply chain business objectives. With more than 14 years in the buying organization at major retailers, he has experienced first-hand the opportunities of the digital era and how technology can transform the consumer experience through improved retailer and supplier connections.